Buying a Lakeland FL Home – What is a Buyer’s Agent? Many times I get calls from consumers looking for more information on a particular Lakeland FL home they found on the internet, in particular on my website or on my blog site. Most of the callers think that these Lakeland FL homes for sale are my listings. Well, truth be told many of the listings and currently there are over 1500 homes for sale, are really not all my listings. Educate buyer’s client to help understand the process from the beginning until the end. Preview and setup showings for the buyer. 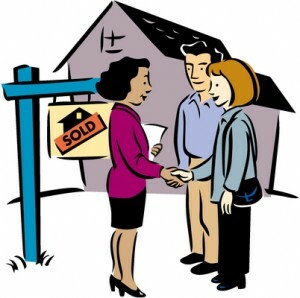 Provide the buyer with detailed information about the property the buyer has shown interest in. Providing all necessary disclosures that applies to the home, i.e. Short Sale, Lead Based Paint Disclosure, Property Seller’s Disclosures, etc. Prepare the offer for the buyer and making sure buyer understand the offer. Advise the buyer to seek legal and tax advice. Collect or make sure the earnest money deposit is timely delivered at the title co. or attorney’s office. Communicate with the mortgage broker/lender throughout the loan process to avoid any unnecessary delay. Review Good-Faith estimate on behalf of the borrower/buyer. Schedule all inspections and be in constant communication with the buyer. Attend all inspections and re-inspections and communicate the inspector’s findings. Be present at the time the appraisal is done and if necessary when there is a FHA/USDA or VA loan required repairs. Be in constant communication with lender, title company and buyer to make the closing process as smooth as possible. Review the settlement statement with the buyer. Just like you would interview a Lakeland FL Realtor® when you are in the market of selling your Lakeland FL home and sign an exclusive listing agreement, you would do the same thing when hiring a buyer’s agent in Lakeland FL as your Realtor®, you would sign an exclusive buyer’s broker agreement. Hiring a buyer’s agent should be done with caution. Ask about commissions upfront. A buyer’s agent may tell you that the representation is free and show you only homes where the commission split between the real estate brokerage is higher or the seller offers the agent bonus than on the home you could have gotten a better deal. Some of the real estate agents will also not show properties that are marketed as short sales or even For Sale by Owners. I am sure this article will shed some light of what a buyer’s agent is and what the duties of buyer’s agent are. If you are looking to buy a home and are looking for an experienced Realtor®, who has your best interest in mind, feel free to give me a call at (863) 619-6918 for a professional consultation and interview.